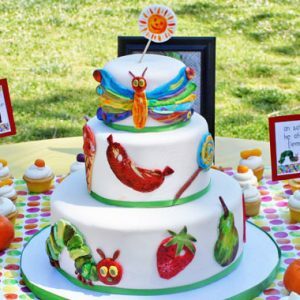 Our Arrested Development recipe countdown is almost over, but there’s one very important recipe that still needs to be shared. I’m talking, of course, about the ultimate party beverage: J-U-I-C-E. 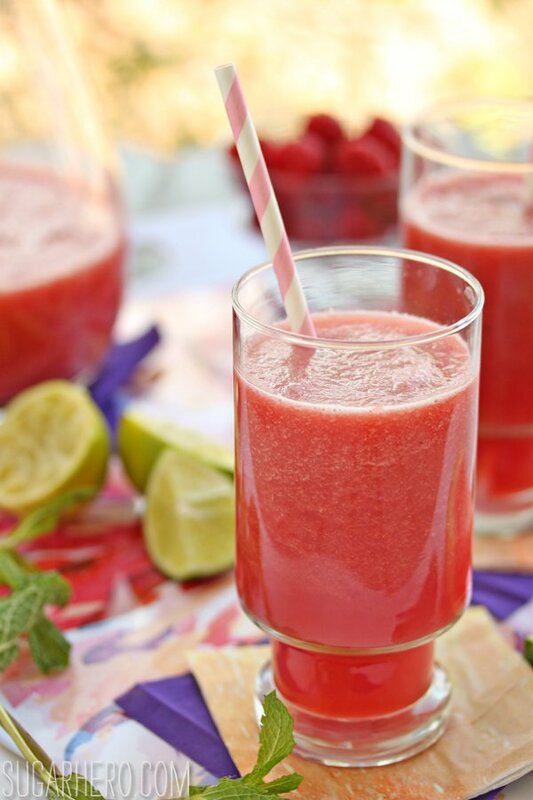 Yes, everyone’s favorite shoulder-massaging, Hey Brother-greeting, mother-adoring scholar is obsessed with juice, and so am I. I blended together a few of my favorite summertime fruits to make a light, refreshing watermelon-raspberry juice, with just a hint of lime. 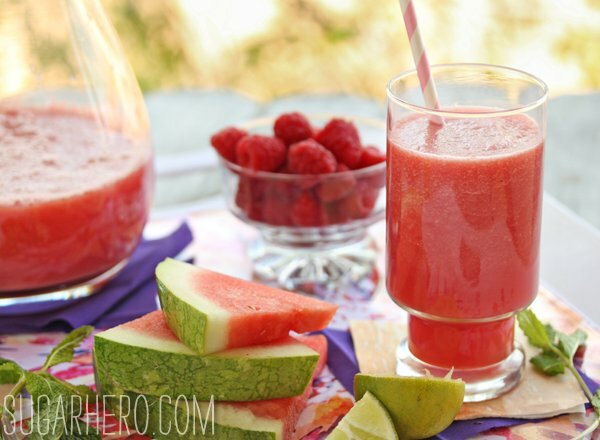 The raspberries and lime keep the watermelon juice from becoming too sweet and cloying. This juice, served with lots of ice, was the perfect thing to help get us through our recent heat wave. I also made a few variations with fresh mint and basil, both of which were equally awesome. So if you want to add an herbacious twist, try muddling a few fresh mint or basil leaves with a bit of sugar in your glass before pouring in the juice. 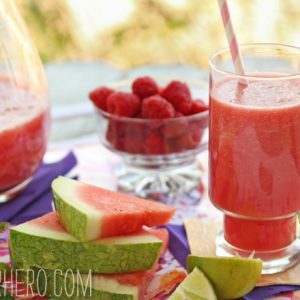 Guzzle down Watermelon-Raspberry Juice while relaxing by the pool, or serve it for breakfast as a substitute for orange juice. May I suggest making these Blueberry and Brie Waffles to go along with it? Because: blueberries. And brie. And crispy carb-y waffle-y goodness! How could you not? If you’re not inspired to make this already, I’ll leave you with a montage of Buster’s best juice moments. Happy juicing, and happy Arrested Development watching this weekend! 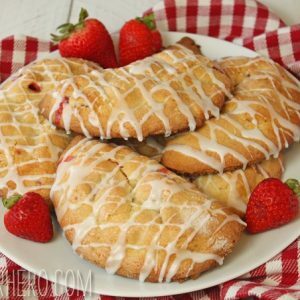 I’ll be back tomorrow with a quick recap of the recipes, as well as a few other fun links. 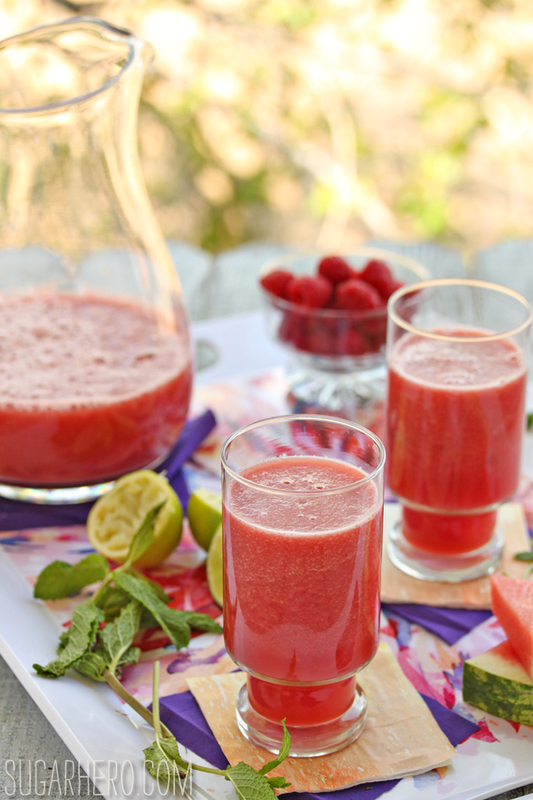 This Watermelon-Raspberry Juice is a beautiful blend of some of my favorite summertime fruits making a light, refreshing juice that has just a hint of lime. Perfect to help you get through a hot day, or any other time really. Combine all ingredients in a blender. If the blender is too small, blend half of the watermelon first to reduce the volume, then add the remaining ingredients. Blend until thoroughly liquefied. Pour the juice through a fine metal strainer to strain out any solids. Serve well-chilled, with ice. It will separate as it sits, so you may need to stir it well if you're not serving it immediately. Flavorless watermelon will produce flavorless juice, so make sure you use a good melon! You can add a mint or basil twist by muddling 3-4 large mint or basil leaves (or both?!) with a spoonful of sugar in the bottom of your glass before pouring in the juice. This is gorgeous! LOVE watermelon juice! Wow this sounds so insanely refreshing. Totally going to give it a go come summer. Also, I wish I watched the show so I could be crazy excited like you are! Tried this today . . . absolutely unbelievable!! Love your site. 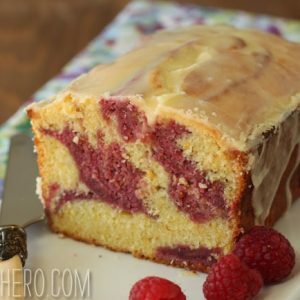 Sugar is my favorite ingredient too! Well, it might be a tie between sugar and butter. Haha! 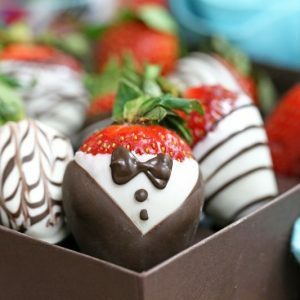 …oh, and chocolate! A three-way tie!